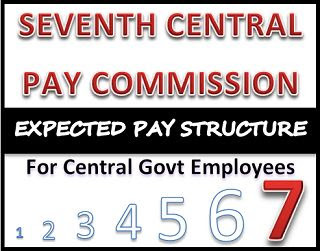 7th CPC Pay Scale is fast becoming the most mesmerizing phrase among Central Government employees these days. Based on all the changes right from the 1st CPC, until the 6th CPC, we have predicted a pay structure. Even though we weren’t keen on it, we have been receiving requests by email and comments. At a point, it became unavoidable. We just had to give our own interpretation too. Since the basic pay of an ordinary employee has evolved from 260-950-3050-7730, the next change is expected to increase after the years, the basic pay hike by 2.5 times. Our Projected Pay Scale is expecting an increase of no more than 3 times. Please intimate that any relaxations for ACP & MACP for SC/ST Category Employees working in Central Government Hospitals. SC/ST Category Employees recruited during 1997 had got 1 MACP in 2007 and 2nd MACP in 2013 (2 MACPs in 16 years), whereas, General Category employees recruited in 1997 had got only 1st MACP from 2007 and second is due in 2017 only. Please post comments that any relaxations for SC/ST Category employees for considering them in ACP/MACP. Instead of having 17 Public holidays we can have only.three public holidays i.e Independence Day, Republic Day and Mahatma Gandhi's birthday.The other 14 public holidays can be made Restricted Holidays. This way he Central Government Offices need not be closed down on public Holidays and productivity can be increased. Hospitals also can fnuction on these days causing less hardship to patients. please stop this multiplication system. IV CPC better alternative. It is said that India is a developing country and going to become developed country. But if the income inequalities among the govt. employees remain the same during the 7th CPC also, India will never be become developed country. Please keeping the vested interests of some elite group aside try to reduce income inequality. A govt. doctor gets NPA more than a pay of a clerk.Please do justice towards humanity and people of lesser God. Since D.A enhanced already 100% as on 1-1-2014 it is better to merge D.A with Basic Pay as on 1.1.2014 and continuing grade pay with 15-20% hike and basic may be fixed accordingly. However pay commission may be effected either from 1.1.2014 if not 1.1.2015 which is more justified as most of the pay revision in other sector will taken up after 8 years. I have newly appointed as a fresh candidate in Helper-II post.Now I work in my branch office.My work load is same as a Clerk here.So why we have to wait 10 years for a promotion?? ?Nobody knows that after how many years the internal exam will be done.So I request that there should be arrange internal exam in every year so that like me other qualified employees can build up there future in Indian Railways. There should be change in the pay structure between and officers and soldiers.they are getting payment in lacs for doing signatures in AC offices and soldier getting payment in thousands for guarding border and doing all physical and office work. Defence wants other country's equipment but not adopt the rules and regularizations and pay deferences. Pensioners are suffering most as they get only Rs. 300 pm as medical allowance for himself, spouse and dependent family members who are not covered under CGHS facility. Such Pensioners either should be allowed reimbursement of medical expenses under CS(MA) Rules as a social justice for their fag end of their life . Alternatively they should be given (i) Rs 2500 pm as medical allowance or (ii) they should allowed cashless medical facility from the designated hospitals. Yours faithfully, D P SHAW, SO(Retired),DRAT, Kolkata, Ministry of Finance. pls dont increase payment by multiplication factor but increase by addition factor, otherwise payment gap will increase, which will result into inferiority complex and can affect productivity. so pls consider. sir, We are some marine staff in under customs preventive. But nobody can considire our problem. Introduce additional increments for higher qualification acquired government servants.Personal pay for family planning should be uniform to all category,now it is eleven slabs. I was going through the pay scales expected to recommend by VIIth pay commission.For higher ranks it is excellent! But why this descremination to PB 1? 20000 is too less an amount today to fulfil both end needs of a family.You should make it 40000.Accordinly,the scales can be adjusted with min margin to bring it to a reasonable amount for survival as the next pay commission will come only after 12 years! GIVE IMPORTANCE TO EDUCATION ALSO. Please ask govt. to include GDS(GrameendakSevak) of Postal Department into 7th Pay commission. As per the above calculations expected VII CPC pay scale there is nothing increase in the gross salary just they are merging the DA in the basic only.After DA merging in the basic 25-35% hike in the basic is needed.. The anomaly of creating a separate pay band for Lt Col and equivalent in the armed forces must be removed ..... it creates a functional liability as they neither here nor there .... and are not comparable with any standard civilian grade though working together many times within the organization. Please consider the scales of IT Professionals at par with the scales of Information Ministry or NIC. At least some parity should be there. the lower crade employees not getting satisfaction by work load, the upper level using the lower level employees thoughts as their thougts. this is not fair. As the qualification the pay commission has to be developed. the upper level some employees with out any knowledge getting more salaries.this has to be rectified. the talent to be encouraged, then only the india will be in fast developing country. Pensioners should be considered sympathetically. The regular govt employee gets DA/DR on the basis of price index and 3% annual increment, but pensioners are restricted to DA/DR that too on the basis of basic pension which is quite inadequate in the present scenario. Some way out should be there to enhance either the basic pension every year or same should be enhanced on other relevant method enabling pensioners to enjoy remaining life at par with the serving personnel. I request HRD minister & officials and experts of 7th pay commission committee to give Equal Allowance for travel,food, accommodation all categories of employees for attending and presenting a paper at national, international conference, seminar to other country and other cities in india. group-1 emplyees central government of india very poor payment please changes the pay scale and grade pay. Sir, there is 30% HRA from metor city and rest is 20% & 10%. why this differentiation? if that differentiation goes on than how could the employees goes to the backward areas? please remove this desparity and make it same to the all employees. Sir, please initiate the pension system for Para-Military Force personnel like the Armed forces. Para-Military personnels like BSF, CISF, CRPF, ITBP, SSB are performing duties like the armed forces of India. So what is the reason for this unlikeness? I request HRD minister & officials and experts of 7th pay commission committee to instruct strictly to all state governments to implement the pay structure within a specific period may be it 6 months or one year but should me committed. I read that 7th Pay Commission met the representatives of various organisations, but all the para military forces were represented by their respective DGs, who knows nothing about the forces and least concerned about the true welfare of the forces let alone taking their case forward. So plz met the officers n jawans at the field and know their hardships. My jawans are currently working on an average 15-16 hrs 24×7, but what they get in return? Less said is well said. Postal assistants Grade pay is only 2400/- But In tamilnadu junior assistants got 2400/- and the Assistants are getting 2800/- State Government gives more Pay than Central government. If this Pay structure implemented, It will create more and more gap between heavy work lower cadres and light work higher cadres. So Pay commission should support to the lower cadres. It should reduce the Pay Gap between the Pay bands....Multiplication factor is wrong. Grade pay Gap should be the same, like today. Then only the operative side will be satisfied. im getting so much problem in travelling to office from my home nearly 1oo kms daily near by our home there is same dep but different station so i likely wanted to get posted for their is it possible plz give me suggestion and do the needful . I have to say that a Central Govt Gazetted officer drawing GP 4800 for more than 4 years is getting GP 5400 as per VI CPC but some ASPOs in DOP are not gettin GP of 5400. They must get GP of 5400. his is injustice against them. There are huge differences between GP-7600 and 8700. 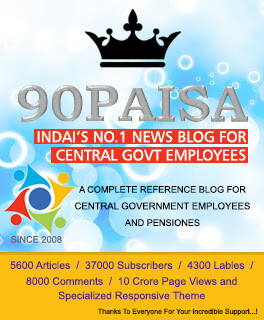 The pay-band of GP- 7600 is Rs-15600 whereas the pay band of GP-8700 is 37400,this is more than 2.5 times higher. This is truly injustice and represent the symbol of 'Raja' and 'Praj' .Earlier there was difference of only Rs-2300(12000 and 14300). This facts must be considered and rationalized by the 7th pay commission. 9 th bipertite their salary will not be equql to the salary of constable. The idea of one increment on one day is not good as people joining in the month of January to march are getting their first increment after 12 to 15 months whereas people joining in the month of oct to dec are getting first increment after only 6 to 8 months . Why is it so? Will it continue in 7th pay commission? Think about it please. noway days health and education expenditures are very high.so govt has to concentrate to give the more benifit to the employees and pensioners in this regard.minimum for central govt employees the medical allowances should be rs.1200 and for pensioners it should be rs.2400. if it crosses more than this reciepts etc. documents may be produced .in this cases there should not be any limit.and also rules should be very much liberalised and very much easy to get it back.what i experienceced in the present situation is, even govt has made the rules to get the reimbursement easily, but the administrative people are unnecessarily creating lot of problems in this process.this has to be stopped.the reimbursement of medical expenditure process should be very easy and liberal. 6th pay commission has done what Britishers had done with the employee of the Indian origin. It has created different class of employees. Someone is getting entry pay because he is a direct recruited but other is getting only grade pay and 3% of increment added to his old pay. So a huge gap formed which increases every year. And government's policy does not recognize is as pay anomaly.What a joke? Please pay one increment in 7th pay commission those who have passed Hindi Stenography and Typing test till their retirement. Sir, please think about the Data Processing Assistants who do not have any promotional avenues in the service. After every 5 years of service a person should be entitled for one MACP. This will boost the work culture and they will not feel deprived. Now-a-days the IT professionals are bound to do more jobs due to the implementation of e-governance in got. job. So, cadre structure may be made for the IT professionals in govt. job. every pay commission gives maximum butter to class A officers, and grade pay in 6th pay commission created differentiation in the same designated groups.this made senior people to suffer with great loss and injustice.i do not have hopes the 7th pay commission will do the justice for the employees who really suffered from the 6th p.c. it is very unfair in distribution of salary in higher grade & lower grade when in most cases they have to go through same process of life, they have same kind of burden.After all the hike process of DA is not correct ,when market price raised this effects lower level & higher also but all get the DA in % .So the higher grade when get rs 2500 or more the lower grade gets rs 500 or less for same level of hike in WPI(whole sale price index).In this way they also face multiple ratio of salary discrimination in between two pay commission. See the difference in Salary of Employee in lowest scale and in highest Scale. it is increasing with pay commissions and no union is raising these topics. "Hard Working employee is getting lesser pay and Babu sitting n sleeping in AC room is drawing hefty sum. Are dependant In Laws of female govt employee entitled for awailing LTC benefits. if not they should be included and instructions issued in black and white. CG employees living in their home twon should also be extended home town ltc announced for J&K and north east or any other state announced from time to time. I am a retired Central Government Group B Officer(Gazetted) Section Officer from the Ministry of Finance (Department of Financial Services), Debts Recovery Appellate Tribunal, Kolkata. I would like tosubmit before the competent Authority of 7th CPC, Mininstry of Finance(Deptt. of Expenditure) and DOPT and also the National Council of JCM that Central Government Group B Gazetted officer in the Non Secretariat Organisation were denied equal pay band and Grade Pay baring some organisation reason best known to the Government ofIndia. This anomaly must be removed by Central 7th Pay Commission now, giving justice to Group B Gazetted Officer in the Field Offices(Non Secretariat) because government have no right to treat Non Secretariat Offices , inferior to Secretariat Offices. Now justice should not be denied and All Gazetted Section Officers in Non Secretariat offices may kindly be treated as equal to the Secretariat Section Officers and given same pay scale and grade pay . The child care leave to ONLY feamle employees is very unfair & discreminationary . It is amounting to 4 years of paid holidays to them. CCL should be applicable to the male employees also. Why this dicremination, dont male employees have any responsibilities to their children. This is just a political stunt which has made it difficult to run govt office if female employee number is considerable. Ranks have been formed and pay scales have been proposed respectively. Nature of duties and individual's talent have never been taken into consideration while framing these pay scales. Im working as a JE in central govt. department and im so much overloaded that i work for more than 12 hrs a day but this grade pay 4200/- is not enough to fulfill my needs. I have to travel extensively and thousands of rupees/month are spent in it, but there is no provision for incentive. After 10 yrs of service additional increment of 400/- i.e 4600/- and after another decade an additional increment of 200/- i.e 4800/-. This is not at all justified. 1.To get macp for every 8 years service. Anthony,Dear chairman of the 7cpc, please consider the Gr-c employees they are hard working class,see their pay and their living status in the A-1 cities,like bangalore,very small houses with big rentals,also See the difference in Salary of Employee in lowest scale and in highest Scale. it is increasing with pay commissions and no union is raising these topics. "Hard Working employee is getting lesser pay and Babu sitting n sleeping in AC room is drawing hefty sum. nice article thanks for sharing useful one. WHy govt is not seeking to have two saturdays off for postal employees so that they can contribute to their social life n no union is raising such demand..??? The gap between upper class and lower class should be reduced . It should be either in privileges or monetary but not both.and this babu culture should be checked. . The officer in defence is NEXT TO GOD for all personnel below officer rank .u may not even able to think type of humiliation of PBOR by commissioned officers who r paid bulk amount at just a qualification of 10+2. There is a huge anomaly in clerical cadre, which I hope could draw kind attention of policy makers in 7th CPC. A LDC joins the service on 1900/- grade pay and becomes UDC on 2400/- grade pay after a long wait of 10-12 years and again a long wait of 13-14 years to become Assistant. Ain't it injustice to a backbone cadre of all the ministries? Do they work lesser or they have got any engraved curse? It is pertinent to strengthen this cadre and hence upgradation of pay bands i.e. LDC at least 2400/- grade pay and UDC at 4200/- alike CBDT and regularization of promotion period might be brought on the grounds. In defence, after 15 years completeing his service anybody is free to leave his service without any reason. In Metallurgical Organization of Railway Some Laboratory Attendant are depriving from Promotional benefits as their promotion has been blocked enforcing a education bar upon the post. It have been looking that so many lower graded post merging with the upper grades but Laboratory Attendants of the said organization Only depriving from this benefit... Please have a kind and effective look on it. Medical allowance @ Rs. 300/- per month is simply too small amount for the pensioners. It may kindly be hiked to at least Rs. 2500/- p.m.
Group D employees are in very condition finacially. A Group D employee gets his/her promotion to the next post after 10 years and even after that his increment is Rs 100 /- . Considering the market scenario how will they run with this limited income. Even if he dreams to make a house of his/her own , then also it is difficult for him /her to achieve it in reality . I shall be highly obliged if you kindly look in it in the forthcoming &th Pay commission. This is my humble request to maintain the standard of Technical Supervisors.In 6th pay commission, degraded the technical supervisors. One nurse is getting the 4600 GP where as JE is getting 4200 GP only and Sr Nurse is getting 5400 GP where as SSE is getting 4600 GP only. Is this justified. What is the use to go in Technical line. Kindly save the technical field by upgrading the standard of Technical Supervisor and fix the suitable grade pay in 7th pay commission. Please do not degrade the Technical Supervisors. Save the Technical supervisor by giving justified GP in 7th pay commission. Dont degrade the Technical field. Nurse are getting more than the SSE. Look at the pay structure, you'll find that the pay scale of those in PB-1 is still lesser than the grade pay of those in PB-3. This is what I called pay discrimination. This is the reason for economic and social inequality. The difference of pay between PB-1, PB-2 & PB-3 is too large. This is not just. I am requesting please any body help me . 1. Let me explain my example comparing new entrant. I have appointed as a constable on 20-01-2002. My basic on 01-01-2006 – 6240 + 2000 (As per 1.86 factors), while the new recruit being appointed with – 6460 + 2000 (As per recommendation of 6th CPC) Why the anomaly is there? Am i eligible for getting increment on 01.07.2006 ? 2. After fixation of pay on july 2006 no any granted increment to me. I requested my help in resolving problems related to remuneration. why the income tax is decuted on the child education fee when we have aleady paid the fee and we are getting only the reimbursement. 1) Erstwhile Gr. 'D' GP should be raised to Rs. 2000/- from Rs. 1800/- duly removing the GP of Rs. 1800/- and 1900/- in the starting and middle. 2) LDC / Tech. III should be raised to Rs. 2400/- from 1900/- duly removing GP of Rs. 1900/- starting GP and Rs. 2000/- in the next GP of Rs. 2000/-. 3) UDC GP Rs. 2800/- should be merged with Rs. 4200/- duly removing GP of Rs. 2800/-. 5)after promotion, Sr.Officer Manager with starting GP of Rs. 5400/- by creating a new GP in Gr. 'C' Cadre, and it is requested to remove GP Rs. 4600/- permanently for all posts. There should be a transparent transfer policy in Government of India especially in those offices which have branches all over India. Pick and choose, the present policy should be discontinued. Thanks to DoPT which has made promotion norms otherwise HODs could have promoted officials on pick and choose basis. On the promomotion lines this transfer policy should be framed. If a person is getting equal salary why should not he/she should be transferred. 1.Exempt pension from income tax. 2.Bring pension of earlier pensioners at par with 50% of the pension of the post/grade from which he/she retired. 3.Give cashless benefit of treatment to pensioners for OPD as well as in patients in all private and Govt hospitals. 4.Pension should be the last pay drawn at the time of retirement and not 50% as at present. All allowances should be equal for all PBs.. difference in pay should be less between PB 1 to PB4.. or difference between PB 1 and PB 4 should be maximum within or equal to times.. The problems relating to Medical Facilities of Central Govt. Employees remain unsolved atleast for those who do not come under CGHS. 6th CPC recommendation for Health Insurance could not be finalised either. It is, therefore, requested to look into the matter and come with an amicable solution. The viable solution would be to include all the Central Govt. Employees under one umbrela with equal facilities. I am joining as a trainee technician in 2014 and training period is (2014-17), am I eligible for 7th CPC or not? and one more thing Pensioners is eligible for 7th CPC? The Pay Commission must address the plight of pensioners as their pension is calculated by applying formula of multiplication with their existing pension which is calculated by reducing their pension by 50% of their last pay drawn. So the multiplication is also at reduced rate.This pension is already meager and its revised pension also remains meager. As there is no medical security for senior citizens they have to spend large sums for medical treatment which eats major portion of their pension. The following is suggested in this regard: 1. The pension should be upgraded at par with the maximum of the pay of the grade from which they were retired. 2. Pension should be exempt from income tax. 3. Family pension should be at par with pension of the pensioner. 4. Medical treatment should be cashless for pensioners in all Govt and private hospitals without any ceiling of upper limit. Please look after the post of "Trainers". This post deserves much higher pay scale than present since the "Trainers" are giving training to different categories of staffs including cadres getting more grade pay than themselves.As the present Govt. emphasized upon training to all kind of Govt. staffs hence to get better service and to motivate this cadre, 7th Pay Commission should look after the post of "Trainers" in all Govt. organisations. We should work hard during school, college and thereafter. It's too late now. Don't ask for parity with higher ranks now. Why don't you try to become an officer instead of studying hard and joining as PBOR? That's your true capability not the academic grade! Is is justify that a peon is getting Rs. 1800 G.P. and a LDC Getting 1900. Merely 100 Rs. Gap. Is their Qualification and work load is same. So is requested that LDC G.P. Should be Minimum 2800. Safaiwala employees par dhyan dena bahut important he. Because the safaiwla's is work very hard. So please attention .. The people who do not work at all are more cautious about productivity.... It should be a option for volunteers like you to avail only three days closed holidays in a year as you proposed. meet medical expenses of retired employees. Consultation fee itself is Rs.500 for every visit. It should be increased to Rs.2500 or atleast Rs.2000 p.m. in view of the increase in the consultation fees and cost of medicines. 7th Pay Commission should make a recommendation to this effect. Sir, there is 30% HRA from metor city and rest is 20% & 10%. why this differentiation? if that differentiation goes on than how could the employees goes to the backward areas? please remove this disparity and make it same to the all employees. There is a 5400 grade pay in accounts cadre in PB-2. What about corresponding scale for Grade pay 5400 in PB 2. Well pay in 6cpc was raised by 3 times more or less for everybody. Just see basic pay of 5 cpc and see in 6cpc. Pay band plus grade pay and MSP added is your basic pay. Higher income slabs upto 34 percent as income tax so pay in higher slabs is not that high and their 3 times pay works out to be 2.7 times where lower slab pay no INCOME TAX and actual increase is 3 times. Pay scale for PB1 can start at 26000 plus MSP of 6000 so can be 32000 instead of 7000 over 4 times. Let 7cpc come and then see whether it meets your requirement. Yes 20000 is too little but 40000 to be given to start at entry level seems asking too much from 7000 to 40000 is difficult. Let's see. Well role of these forces are defined. Only in defensive role and no offensive role. You don't fight in enemy territory and you are not trained for that. In defensive role which is clearly defined don't want to write here. Smuggling still is on and infiltration too is on from across borders. Yeah some more perks are required but don't compare yourself like ARMY. hope some demands are agreed too and higher pay scales are given as u people too deserve pay hike. I just don't know why some of other ranks are against officers rank. You too have joined as officer but capabilities are limited. I never had any differences in my career and all jawans loved not only me but entire Regt worked as family. Some disgruntled enter elements like you only spoil relations. No wonder u r not in Officer category as u have neither have aptitude nor attitude. No officer thinks his jawan as servant and will never think. So pls be careful what you write and don't make some people think your way. Pay system has been made as per calibre and there is lot of difference between a jawan and officer. You still have option to seek entry through ACC ENTRY if you think u have capabilities of becoming Gud officer which I doubt by your thinking and attitude towards life. Acchha kaam karo aur PB1 se pb2 aur pb3 mein AA jao. Ab begaar kaam ke entry level par hav or jco ki pay chaiye to ye to ho nahi sakta. Unki pay homes ha jawan se upar rahegi. Mehmet karo aapki bhi WOH rank milega. Lower grade starts with day of entry in service higher grade has over 30 years of service. Question is also of qualification and psychology. All post graduates can not become officers. Aptitude is required which very few has got. Every six months ups exams are conducted and over 100000 1lakh applicants are there to get entry as officers and only 200 to 250 become. It's not easy to become and get officer rank easily. Aptitude is required. So stop comparing pay bands but try to become an officer and get pay if u can become. All the best. Try your luck. In metres rental cost is high. Smaller towns rent is less. HRA is to compensate rent according to rates in the city and is allowance not to be treated as income. Why write such questions if u don't know and of the thing showing your stupidity of understanding which seems NIL. The grade pay of Group(D) i.e. Rs.1800/- is merged with Group (C) i.e. Rs.1900/- But the work of the LDC is not distributed to them. This is the clear indication that the Govt. wants to degrade the LDC/UDC's in subordinate offices. Now the parity should be rectified in 7th CPC and make the LDC/UDC's happy by way of removing Gradepays Rs.2000/- & Rs.2800/-. Thank you for your recommendations and great article.I absolutely love to travel the world so this blog post really helpful. As always, Lower cadre have to suffer, In this proposed Pay structure GP 1800,1900 & 2000 who are Lower cadre will get less then multiply of 3 for their basic pay. All of other Higher cadre get more then basic x 3. Its rule in India that always lower cast, lower cadre have to suffer and all other Powered man have never worries about them..
sir why person of higher ranks are getting salary in lacs and lower rank are in thosands only. specialy in defence. Library assistant Semi professional Asstt. Professional Asstt. Please remove the disparity and maintain the dignity of Professional courses. Why this type of difference in payment of salary for officiers and soldiers. The salary payment for soldiers must be increased.